As parents of thousands of students across the nation are refusing the standardized tests aligned with the Common Core standards, state education officials are digging in their heels and attempting to use authority and, in some cases, intimidation to keep test participation rates up and parents in line. 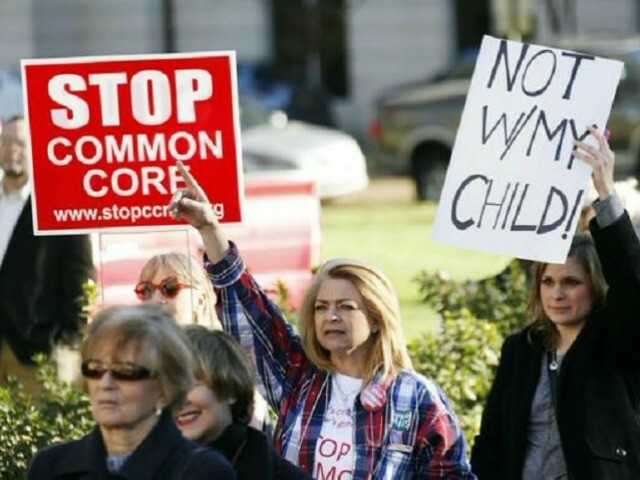 Grass­roots groups of par­ent activists who have been refus­ing the Com­mon Core-aligned tests for their chil­dren have cit­ed the due process clause of the 14th Amend­ment of the Con­sti­tu­tion – upheld numer­ous times by the U.S. Supreme Court – with the under­stand­ing that chil­dren belong to their par­ents, not the state. There is no statu­to­ry pro­vi­sion for par­ents to opt their chil­dren out of test­ing. The State, dis­tricts, and schools are required by state and fed­er­al law to admin­is­ter assess­ments to all pub­lic school stu­dents. Please ensure that your dis­trict and school lead­ers are con­sis­tent­ly com­mu­ni­cat­ing that the schools’ oblig­a­tion is to admin­is­ter tests to all stu­dents. Because of that oblig­a­tion, it would not be appro­pri­ate to pro­vide alter­na­tive activ­i­ties for stu­dents in lieu of test­ing. Any par­ent or guardian who neglects to enroll his child or ward or refus­es to make such child or ward attend school shall, upon con­vic­tion, be fined not more than fifty dol­lars or be impris­oned not more than thir­ty days; each day’s absence shall con­sti­tute a sep­a­rate offense; pro­vid­ed, the court may in its dis­cre­tion sus­pend the sen­tence of any­one con­vict­ed of the pro­vi­sions of this arti­cle. At a local press con­fer­ence, Tam­ra Hood, a mem­ber of South Car­oli­na Par­ents Involved in Edu­ca­tion (SCPIE) who attend­ed the April 16th meet­ing of the South Car­oli­na Asso­ci­a­tion of School Admin­is­tra­tors, said that, dur­ing the meet­ing, the State Edu­ca­tion Department’s Chief Oper­at­ing Offi­cer Eliz­a­beth Car­pen­tier specif­i­cal­ly threat­ened par­ents with “crim­i­nal account­abil­i­ty” and reports to police if they refused the test for their chil­dren. Hood report­ed Car­pen­tier said that par­ents could be charged with tru­an­cy and could spend 30 days in jail if even a sin­gle day of test­ing is missed. Addi­tion­al­ly, Hood said Car­pen­tier not­ed dur­ing the meet­ing that groups that encour­age par­ents to refuse the Com­mon Core-aligned tests could be charged with aid­ing and abet­ting a crime. Tep­pa­ra denied all of the state­ments Hood report­ed Car­pen­tier made at the meet­ing. No. Ms. Car­pen­tier said that schools have a statu­to­ry oblig­a­tion to admin­is­ter the tests. She was pro­vid­ing guid­ance on schools’ duties. She specif­i­cal­ly stat­ed that the statutes refer to our oblig­a­tions to admin­is­ter tests, and make no ref­er­ence to whether par­ents have a right to refuse the tests for their stu­dents. More­over, there is no way schools admin­is­ter­ing tests can force a stu­dent to take the test, or do their best on the test. The statutes address what the edu­ca­tion sys­tem must do in con­nec­tion with tests, and are silent on what par­ents may or may not do. In addi­tion, there is no express “opt out” pro­vi­sion in our state or fed­er­al statutes. Tep­pa­ra also denied that Car­pen­tier said if a child is kept out of school on test­ing days, par­ents can be held crim­i­nal­ly account­able and can be report­ed to police. Regard­ing jail time for par­ents, Tep­pa­ra again denied Car­pen­tier made a state­ment to that effect. “No. … There is no auto­mat­ic jail stay in our crim­i­nal statutes, and of course, she nev­er would have said that,” he respond­ed. Hood charged that Spear­man is hid­ing behind Car­pen­tier, and that both have been hid­ing from par­ents who request infor­ma­tion about test refusal. “It is tru­ly a sad state of affairs when our State Super­in­ten­dent of Education’s office is will­ing to lie to cov­er up their mis­takes, there­by accus­ing inno­cent par­ents of lying instead,” Few said in a state­ment to Bre­it­bart News. Rather than lying about what was said and attempt­ing to dis­par­age the char­ac­ter of those who exposed the truth, it would be wis­er for Super­in­ten­dent Spear­man to make a pub­lic state­ment denounc­ing the threats made by her COO, apol­o­gize to the par­ents of South Car­oli­na, and fire Ms. Car­pen­tier. Few said Carpentier’s atti­tude reflects the sen­ti­ment of edu­ca­tion elit­ists who have no regard for par­ents and treat them in a con­de­scend­ing man­ner.